As these content strategy case study examples show, even one campaign can yield powerful results when properly executed and promoted. It’s hard to gauge just how effective content marketing can be for a brand or business. Fortunately, we can look at content marketing case studies to fully understand the process and its value. In the following case studies, you’ll see real examples of the positive impact content marketing can have on a variety of businesses. 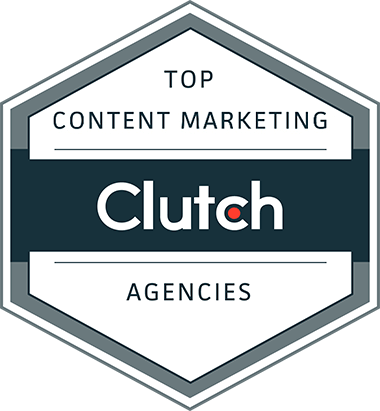 Let’s take a look at how strategic content marketing helps our clients secure coverage on top publications, improve brand awareness and SEO, and build authority in an industry. We focused on geographic appeal for our campaign The Most Instagrammed Locations in the United States and Canada. By pulling data from Instagram’s API, we identified the places where people take the most Instagram photos. We turned this data into a series of charts (broken down by the type of place and the actual location where the photo was taken) and shared some of the best Instagram photos in the story. We know that both the popularity of Instagram and the geographic angle of the campaign would attract attention. Audiences and publishers would be interested in seeing the most popular location in their state. We used this to help our promotion process and pitched publishers by highlighting information related to their state. As predicted, the campaign caught the attention of local publishers. The content received regional coverage from Boston.com, the Chicago Sun-Times, The Palm Beach Post, and the Houston Chronicle, and it was even featured on many local television channels. It resulted in close to 40,000 social shares, a 40 percent lift in organic U.S. traffic, and 300 stories with placements on Yahoo, AOL, Business Insider, Fast Company, NBC News, Pop Sugar, The Daily Mail, and Today. For the Perceptions of Perfection campaign, we sent a photo of a woman to 18 freelance designers located worldwide and asked them to “Photoshop and retouch this woman to make her more attractive to the citizens of your country.” We then created a visual asset that showcased the original image along with the versions from each country’s designer. Photoshopping and body image are hot topics that generate interest. So we built our campaign around those topics and paired them with unique, original visuals that weren’t available anywhere else. The campaign was emotionally compelling and told a story about the standards of beauty from countries around the world, all of which helped the campaign gain mass attention. By creating a powerful campaign and targeting publishers that would be likely to share the story with their readers, we created ideal content marketing results. The story was picked up by nearly 600 publishers, including BuzzFeed and The Huffington Post. It was mentioned by celebrities such as Sofia Vergara and Lil Wayne and received more than 900,000 social shares and more than 700,000 page views on our client’s site. Our Mapping Marvel Origins campaign for Movoto featured an infographic that presented the background stories of comic fans’ favorite characters. The map infographic connected popular Marvel characters to their homelands by showing their birthplaces across the world. Marvel-based movies are leading box offices, and comic conventions are more popular than ever; we wanted to capitalize on those trends. We created a graphic that was appealing to comic book fans while remaining true to the client’s core offering of regional real estate information. By using a popular trend as the central focus of this campaign, the content was shared 9,000 times and featured in 365 stories, including placements on Yahoo, Mashable, MTV, Mental Floss, and Nerdist. For our Average Faces of Drug Abuse campaign, we exposed the dangers of drug use in a graphic way. We curated 100 mugshots for each of six drug- or alcohol-related arrests. We then averaged the faces to create one image that would collectively show the physical results of using alcohol or the specific drug. The six images were featured in a photo series that also shared information, facts, and stats about the dangers of drug and alcohol use. Knowing that visuals are far more likely to catch attention than text-only content, we focused on creating strong graphics for this campaign. The client wanted to gain authority in the drug treatment industry, so we used an emotionally stirring photo visualization paired with educational tidbits that would get more attention than a lengthy copy feature. The campaign resonated with high-authority publishers who were eager to share the story. It was featured in over 250 stories and shared almost 9,000 times, which helped the brand get the exposure it wanted. We curated external data to create the core of our Twitter Reading Levels campaign. Using Twitter’s API, we looked at over 500,000 tweets to analyze Twitter reading levels based on geographic location. We published our findings in a report that featured interactive charts of each state’s average reading level based on the language residents used on Twitter. Curiosity and pride are two high-arousal emotions that often incite social sharing. So we created content that would trigger curiosity (people would want to know how their state-ranked) and pride (people would want to share their state’s results). Plus, we knew content tied to a geographic area would catch the attention of regional publishers. The campaign was featured in 250 stories, including coverage in regional publications like AccessAtlanta.com, Austin360.com, and MyFoxTwinCities.com. It was shared more than 14,000 times and drove 31,600 page views on the client’s site. For The Wealthiest People in America, we created a static graphic that displayed the richest person in each state. The campaign also featured an interactive infographic that put the wealth into perspective – it showed the gap between the richest person in the state and the state’s average resident. Data on the wealthiest person in each state were used in infographics published by other brands. But instead of creating just another representation of this dataset, we paired our graphic with an interactive element that showed the data in context. By showing how the richest person in each state compared with the average citizen, we added an emotional appeal that increased interest and helped propel the campaign. The content received 140,000 social shares and led to 1.4 million page views on the client’s website. The story was picked up by 130 publishers, including Yahoo, The Washington Post, and The Huffington Post. While one piece of content can create strong returns, publishing and promoting a series of content over time yields even greater results and a stronger foundation for lasting success. Fanatics, a sports e-commerce website, wanted to offer its audience more reasons to visit and engage with its brand. The client reached out to Fractl for help turning the site into an online destination for sports lovers by launching a blog, growing its audience, and attracting media coverage. Publishing timely, sports-related articles that would attract immediate attention during popular sporting events and seasons. Filling the site with evergreen articles related to historical aspects of sports that would provide value over time. Being acutely aware of trends and quick to create content that would maximize the big sports themes, match-ups, and player stories. By publishing content related to both timely trends and stories with lasting value, we helped Fanatics become a web destination for sports lovers. The campaigns resulted in a 1,100 percent increase in organic search traffic and a 230 percent increase in the number of ranking keywords, and it led to features on popular sites like USA Today, MSN, Yahoo Sports, and The Score. 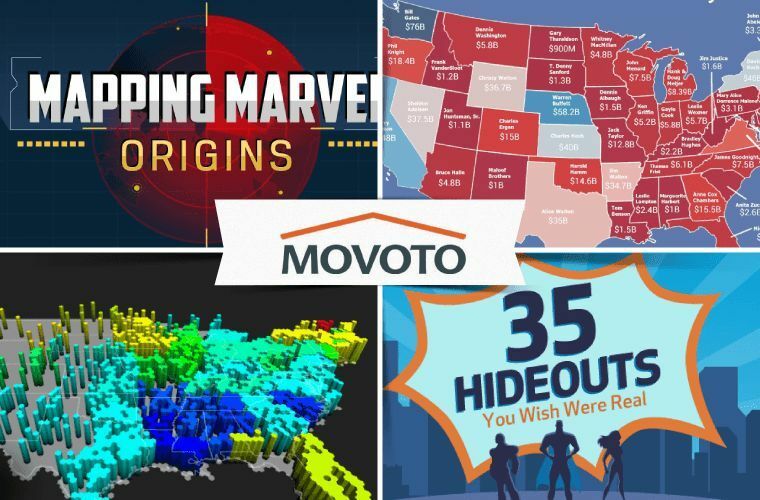 Real estate research and listing website Movoto wanted to improve its brand recognition, so the site teamed up with Fractl to drive traffic and earn links back to its on-site content. Creating content around high-arousal emotions – such as curiosity, interest, and trust – that would be attractive to Movoto’s target audience. Creating campaigns in a variety of dynamic formats, such as motion graphics, interactive content features, mobile applications, and quizzes. Developing content that would be relevant to a wide audience by relating to pop culture and trends. At the end of our engagement, Fractl helped Movoto establish a name, draw traffic and links back to the site, and build authority in the real estate industry. The campaigns resulted in more than 1.7 million social shares and over 1,700 publisher features on sites like MTV, Mashable, Yahoo, The Daily Mail, The Huffington Post, and more. When BuzzStream approached Fractl, it already had brand recognition within the industry but wanted to expand on past success and further establish itself as a leading authority in the SEO space. 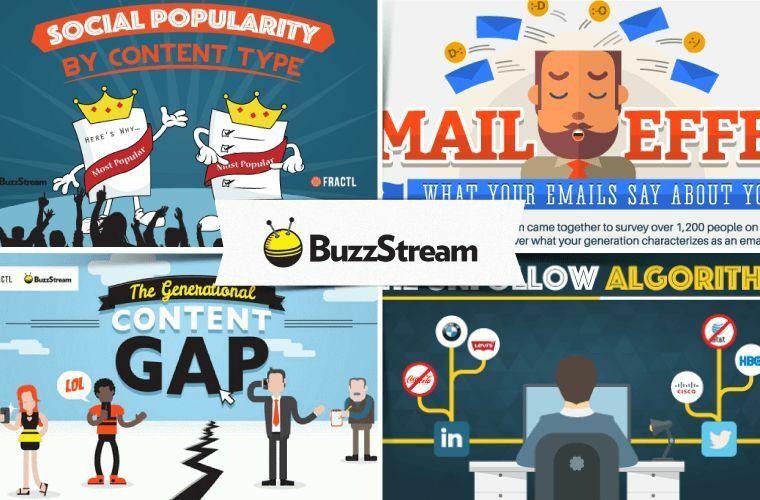 Creating original research-based campaigns that would show BuzzStream as an authoritative source in the field. Creating evergreen content related to relevant keywords to improve BuzzStream’s visibility in search engines. Using gated content and optimizing on-site content for conversions so the site could develop lasting relationships with its audiences. The partnership helped BuzzStream achieve the industry authority it was seeking. We published 19 research-driven campaigns that resulted in 320 featured stories and close to 66,000 social shares. The on-site content also helped improve website conversions as the client broke its record for new sign-ups. 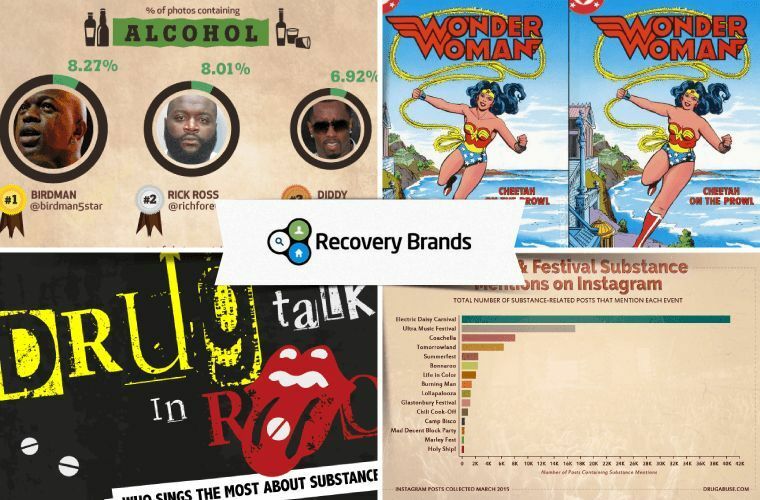 When Recovery Brands teamed up with us, it was relatively new in the industry. The alcohol and drug treatment resource website was entering a highly competitive space and was looking to boost traffic, authority, and visibility on social media. Producing research-heavy campaigns that were emotionally appealing and aligned with the company’s goals and mission. Using content mediums, such as crowd-sourced content, contests, quizzes, motion graphics, infographics, and mobile apps that would attract attention. Getting mass exposure by securing features on high-authority websites with large audiences and influence over other publishers. Our approach to building authority for Recovery Brands worked. Our series of campaigns increased its organic traffic by 1,100 percent in one year and lead to more than 4 million page views. The campaigns attracted more than 12,500 featured stories and 1.2 million social shares. These 10 content strategy case studies show how quality content creation and effective promotion tactics can create powerful results. Are you ready to use content marketing to bring your brand to new heights? Let’s talk.